Anglers from a previous program. The Passport to Fishing program provides skills, techniques and information that allows any beginning anglers to start fishing, fostering life-long outdoor interest and appreciation for the natural world. The volunteers hope children will be “hooked” for life on fishing! The program consists of four stations and includes hands-on participation and a strong conservation message. 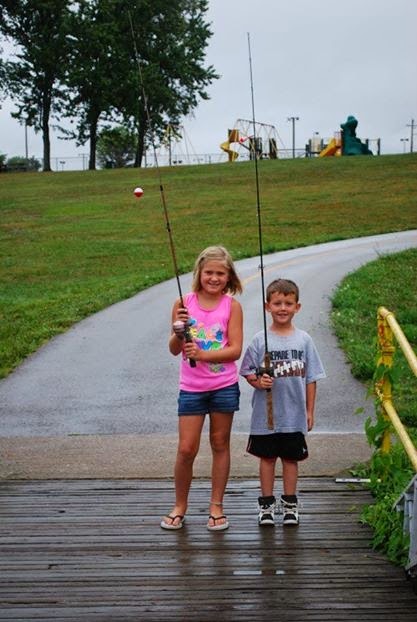 When children complete the educational portion of the program, they will receive a free rod and reel. Registration is required and limited and we do expect this program to fill quickly. Please register HERE. For additional information contact Lori Williams, (937) 382-4781.